Forward: Please read to understand the following review. Thank you. The legend of Liang Shanbo and Zhu Yingtai is set in the Eastern Jin dynasty (265-420 AD). Zhu Yingtai is the ninth child and only daughter of the wealthy Zhu family of Shangyu, Zhejiang. Although women are traditionally discouraged from taking up scholarly pursuits, Zhu manages to convince her father to allow her to attend classes in disguise as a man. During her journey to Hangzhou, she meets Liang Shanbo, a scholar from Kuaiji (present-day Shaoxing). They chat and feel a strong affinity for each other at their first meeting. Hence, they gather some soil as incense and take an oath of fraternity in the pavilion of a thatched bridge. They study together for the next three years in school and Zhu gradually falls in love with Liang. Although Liang equals Zhu in their studies, he is still a bookworm and fails to notice the feminine characteristics exhibited by his classmate. One day, Zhu receives a letter from her father, asking her to return home as soon as possible. Zhu has no choice but to pack her belongings immediately and bid Liang farewell. However, in her heart, she has already confessed her love for Liang and is determined to be with him for all eternity. Before her departure, she reveals her true identity to the headmaster’s wife and asks her to pass a jade pendant to Liang as a betrothal gift. Liang accompanies his “sworn brother” for 18 miles to see her off. During the journey, Zhu hints to Liang that she is actually a woman. For example, she compares them to a pair of mandarin ducks (a symbol of lovers in Chinese culture), but Liang does not catch her hints and does not even have the slightest suspicion that his companion is a woman in disguise. Zhu finally comes up with an idea and tells Liang that she will act as a matchmaker for him and his “sister”. Before they part, Zhu reminds Liang to visit her residence later so he can propose to marry her “sister.” Liang and Zhu reluctantly part ways at the Changting pavilion. Monument to Liang Shanbo and Zhu Yingtai near the Tombe di Giulietta in Verona, Italy. Months later, when Liang visits Zhu, he discovers that she is actually a woman. They are devoted to and passionate about each other and they make a vow to the effect of “till death do us part”. The joy of their reunion is short-lived as Zhu’s parents have already arranged for her to marry Ma Wencai, a man from a rich family. Liang is heartbroken when he hears the news and his health gradually deteriorates until he becomes critically ill. He dies in office later as a county magistrate. On the day of Ma and Zhu’s marriage, strong winds prevent the wedding procession from escorting the bride beyond Liang’s grave, which lies along the journey. Zhu leaves the procession to pay her respects at Liang’s grave. She descends in bitter despair and begs for the grave to open up. Suddenly, the grave opens with a clap of thunder. Without further hesitation, Zhu throws herself into the grave to join Liang. Their spirits emerge in the form of a pair of butterflies and fly away together, never to be separated again. You need to be vulnerable to art for it to impact you…most people are too scared to feel. Are you one of them? 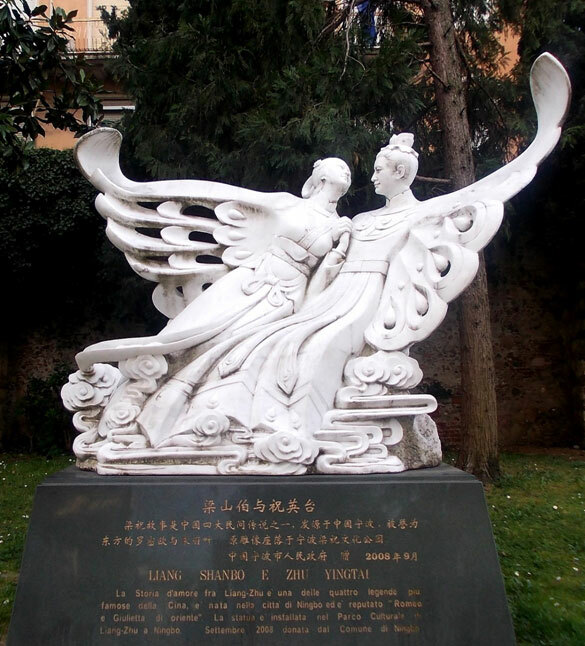 As you can see from the amazing monument to Liang Shanbo and Zhu Yingtai near the Tombe di Giulietta in Verona, Italy, we have two human beings encompassed metaphorically into a butterfly, which is two people with two wings, connected to be one forever. A left and a right, to become a straight forever. The Chinese opera is one of a kind, firstly because its enormous background into the past of China and its history, as it shows its culture through the storytelling you have, or should have read above. It is also a first because no one has written up a system test on cables, or for that matter anything else with this masterpiece. The reason I chose it, is not because there are any Chinese components in the cabling, but because of the transformation of life. There is love, there is death, there is rebirth. There is the unification of everything that has existed into something which is new. Something which flies, which is beautiful, but that can starve you of your breath, literally take your breath away, if only you let it. The slow plucking of a string awakens the butterfly with the flutes creating, nothing short of a light heartedness within any heart or soul that hears it. The harp and strings again come in, now dancing like the wings of a butterfly. This is where you, the listener, takes whatever sorrow exists in life, and pass it by to a new life, a birth of a new tomorrow and a sense of freedom. Most of us take freedom for granted, but when we do realise its beauty, we cannot help ourselves but grin from ear to ear. In comparison, the Silver Diamond, does the same to me, every time I listen to something as demanding, with highs that are normally abrasive, and when bass is so thunderous it shocks me. It proves to me there is a magic in the world, and I am lucky enough to inhale it, succumb to it, and let it breath within me. If our reproductive systems cannot make this happen at its utter most, then why do we spend money, time, and endless hours writing and listening to it? This is where I have to be up front with my readers, and tell you what I believe is the most important thing to do when considering any musical system. START YOUR SYSTEM WITH THE CABLE 1st. The fairy tale took 1.700 years before a 24-year-old created in 1958 the magical piece of music to accompany the emotions; if we do not mature as people, it is very difficult to create maturity in anything. We use to start any system by spending all our money on towering speakers and hail them in our eyes as the only thing we need to live in perfection. It has taken us, fortunately, less than that mentioned for our concerto, to understand that this was a grave mistake, and that the brain is not made from the bone in. It’s made from the neural pathways, (in this case our cables), first. Then the shell comes. Then we see how clear, how close to the truth a moment sounds as music passes through us. Just over a decade ago, most people thought that any cable was the same, and still do think they are a waste of money, but as horrid as a cocoon looks, seemingly dead, so does a wire which seems bland to most people, little do we know that this basic wire (which is not basic at all) will either allow us to put our system together properly, allow us to fly, or simply put us into heavy costs if we take the alternate route. 99% of the times, it is because of this fallacy of speaker first, which is the cause of this predicament. I tried my theory, which is now a rule in my life, and started a long-term review of a system, starting from its cables. That is where Geoff came in. He is a man who has the heart of gold and a head on his shoulders which have been shaken, stirred, and been through more with high-end than most people I know alive. It started when I heard Chameleon Audio products have a signature sound which seemed to be too good to be real. When I found out it was the cables, I laughed and swore at myself for not knowing that from the beginning. Now, just to make things clear, I have been given cables, which are worth 80.000 euro and have given them back to the dealer with very bad articles. I will not get paid for this article, as I have not ever been paid from any dealer to date. I work totally free from any constraints of making anyone happy, as to get paid, or to be careful not to say bad things about a product. 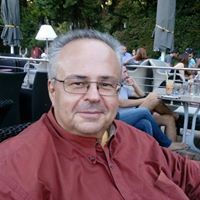 I simply return it if it is not what I like, and quite a few times, when I do get down and dirty, my articles are simply not published. Kind of a shame, but very true indeed. 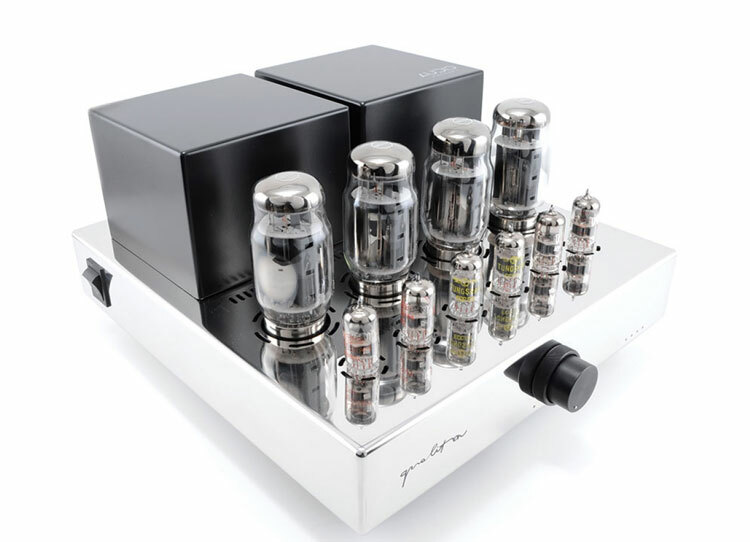 Audio Hungary magical 50W Class-A A50i tube amplifier. 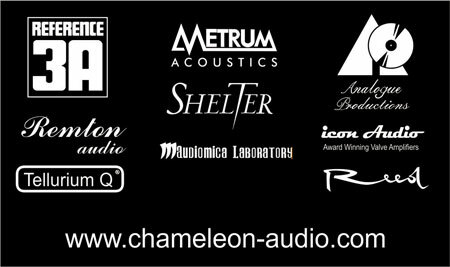 So with the help of a few honest people Like CEO of Chameleon Audio, Nikos Kostadimas, the creator and CEO of the Ayazi 2’ DAC and Reference 3R, Audio Solutions in Lithuania, Audio Hungary with the A50i 50 watt class A integrated amp, and many many others throughout Europe, I came to the system I am so involved in tonight, listening to the Butterfly Lovers violin concerto. My swift quest, relatively fun, contrary to the concerto above, has come to fruition into my daily life. This system has given me more substance than anything in the world I could get, other than human interaction and food and water to live by. I have used various cable sets, and yet have failed to come up with a cable that equal the Silver Diamond in articulation, total silence, harmony, smoothness, bass and outright musicality, at three times its price. Phase distortion is gone, technology with no specs is in. So, go listen and find out what the difference is yourself. I promise you, from one high end lover to another, you will not lose! You will hear silence. So silent and black, it allows you time to realise when there are pauses between notes; so dark, that notes hit my ear like thunder strikes the ground. Music comes so unexpectedly, and with such a force that emotions come through involuntarily. Never nerve racking, like when a PCM stereo with its highs, tires you after 30 minutes of higher levels of volume. When you hear music from Asia, which I promise you, can be nerve racking when perceived on a system that enjoys being flamboyant and impressive at the start. That first few seconds do count they say, but it’s after the few seconds that make it real. It either changes as your body, turns off its parasympathetic system, and if it still annoys your nerve endings, well….you leave the room or start writing messages on your phone. Which if you do, then you shouldn’t have the specific product in your home in the first place. 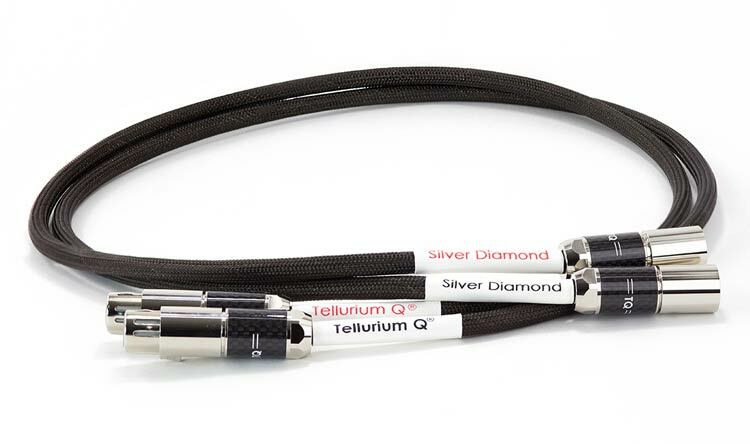 What is the science behind a Tellurium Q® Silver Diamond? “If you’re looking for a major jump in your system’s performance, I’d suggest buying a pair of these instead of considering a hardware upgrade. Before you write this advice off to cable delusion, expectation bias, or the recent Mercury retrograde phase, please take note: I have never said this in TONE’s 11-year history. So, to conclude. Listen to this cable, on any system, which may cost as much or triple that. Don’t believe in anyone or anything but your ears; the ego is bigger than any organ could ever be; don’t be cheap, you only buy cables once if you are smart. Speakers come and go. That’s when you will find out what I did. I will never want to listen in any other way. 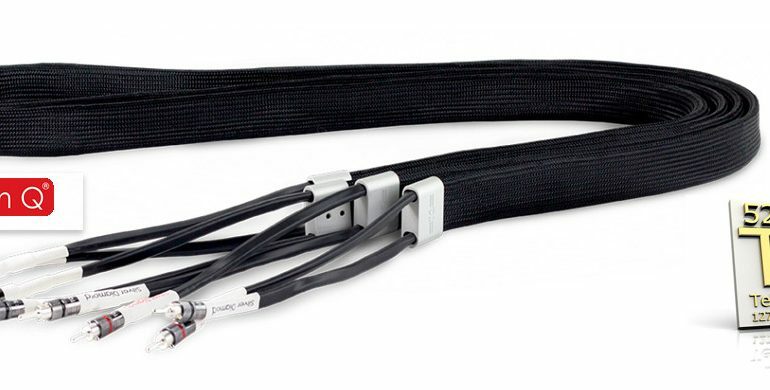 A 100% must on your checklist of cables. I dare you to not try the philosophy of the people who created them. Because in the end, that is sincerely what matters most. Audio Hungary landed at hiendnews.gr ! New Arrivals – Audio Hungary in Greece at Chameleon Audio !